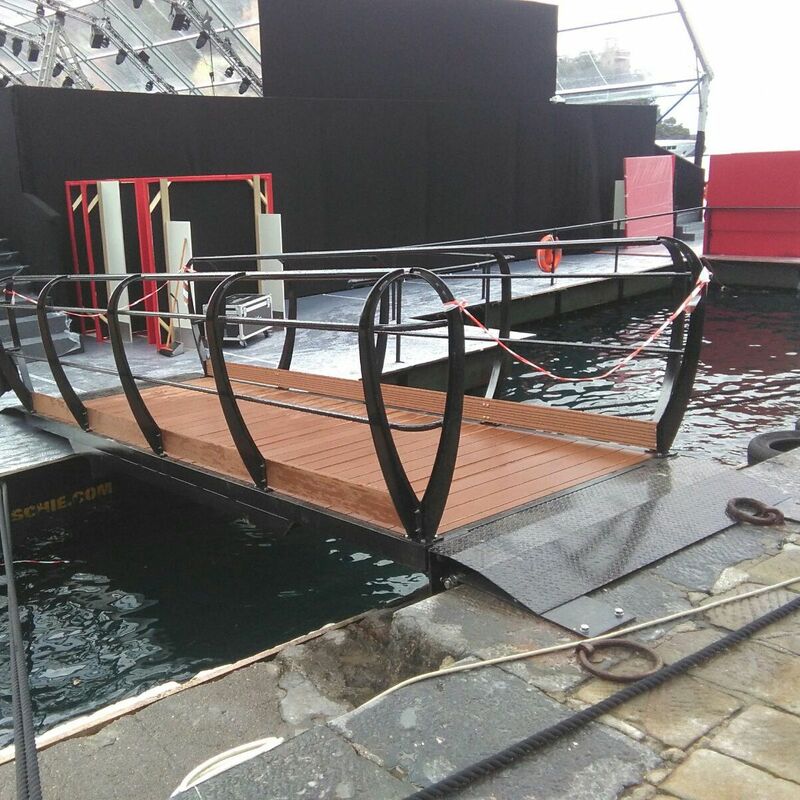 Gangways are often an indispensable tool for accessing docks. 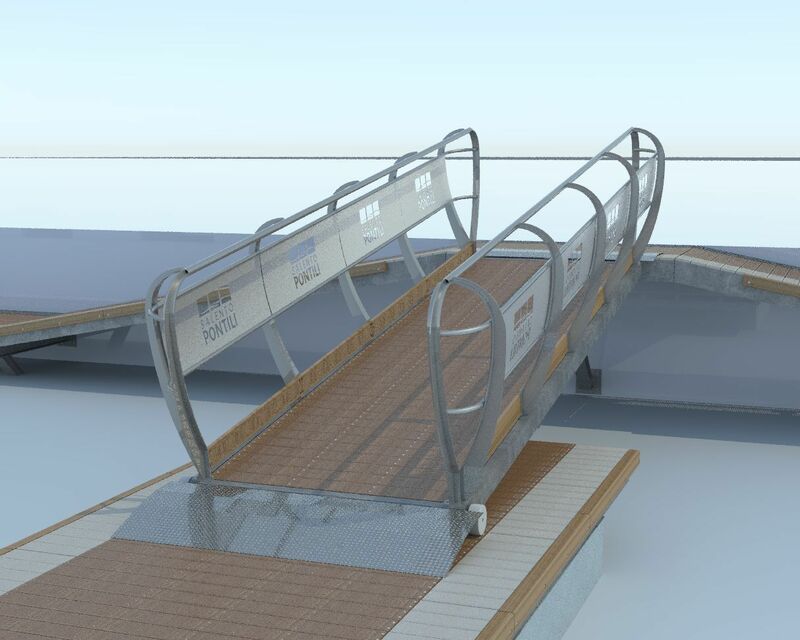 Our company manufactures several models of gangway, in order to meet the specific needs of each type of installation. 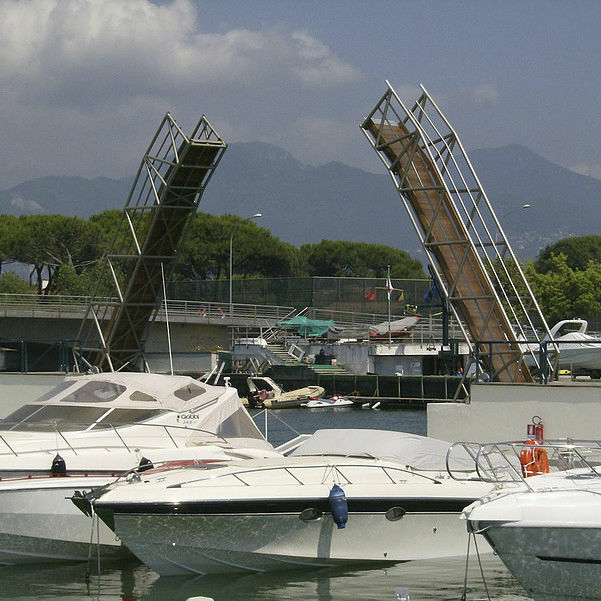 The load-bearing structure of the gangway consists of hot-dip galvanised steel beams made according to UNI EN ISO 1461 or of anticorodal aluminium 6060 T5-6, welded together so as to obtain a solid supporting frame, completed by electrically isolated aluminium spars, on which the floors made of exotic wood or WPC (Wood Plastic Composite are fixed. Depending on the length of the gangway, additional reinforcing sub-frame beams may be used. Used for the fitting of the docks to dry land, or to each other, several surfaces can be connected in various ways. Our production includes several solutions for anchoring gangways to the ground through the use of toggle joints, universal joints, gravity joints or wheels on slides. We also produce removable interlocking gangways between modules and portals with winches for lifting. 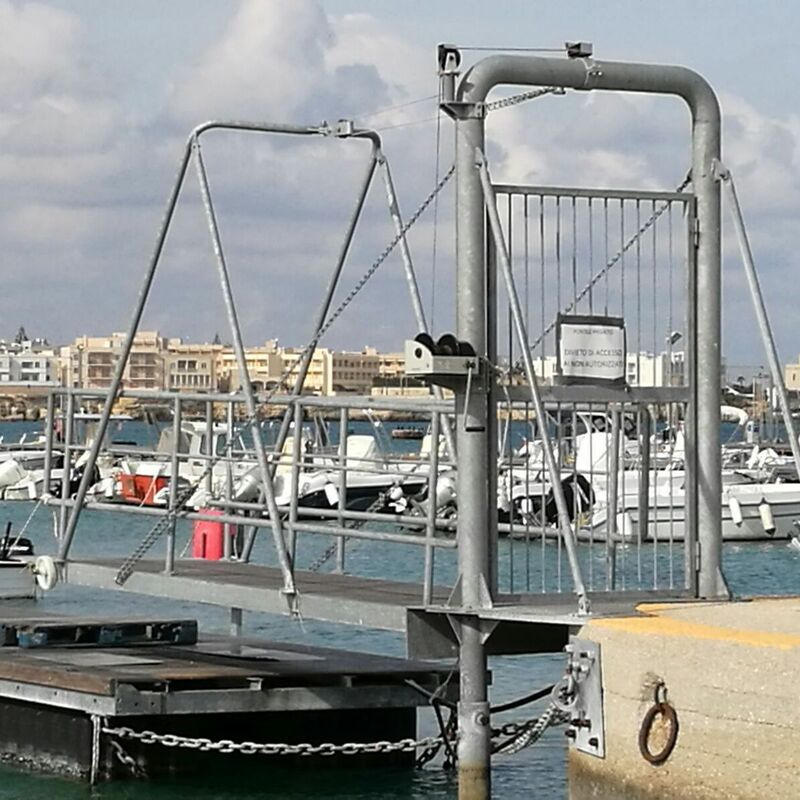 We also provide self-supporting gangways, with floating elements that allow you to not distribute weight from the gangway to the dock to which it is connected. 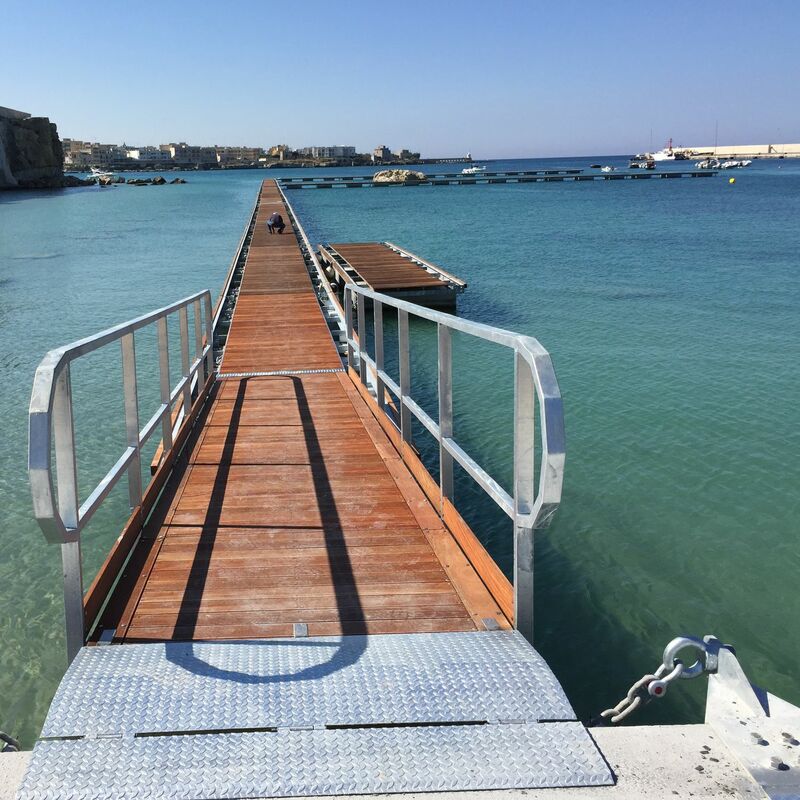 The gangways can be equipped with polyzene or nylon scroll wheels, steel anti-friction plates and flaps to cover the joints, made from embossed plate or covered in wood. In addition to gangways, custom made railings can also be supplied.